I am co. driver for car # 4420 driven by Derek West located in Springfield Mo. 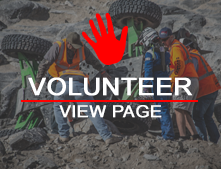 I have been competing in ultra 4 racing since 2010. Koh was my first race with Derek taking a third place overall finish which would progress to many more top finishes. I grew up with a passion for off road racing, having experienced a decade of motocross endurance racing. I feel the navigating the terrain of ultra 4 is similar. Racing Ultra 4 is definitely something in which I\&#039;m proud to be apart of as it evolves each year.